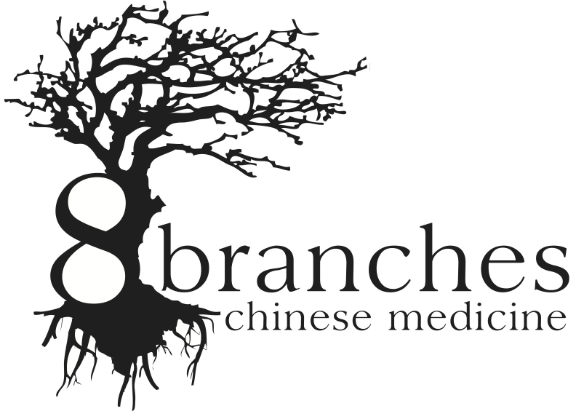 These eight branches of Chinese medicine represent the comprehensive nature of our practice. We offer a full spectrum care model, to meet the needs of each person we see. As one of the most researched of all complementary medicines, acupuncture is the most recognized of the eight branches. Often considered a part of Chinese Medicine, it requires comprehensive knowledge of diagnosis, theory and treatment to apply effectively. Over centuries of practice, it has evolved into a very safe and effective treatment with little to no side effects. Acupuncturists are the most qualified in training and clinical practice to apply acupuncture with over 3000 hours/masters degree equivalent. Acupuncture is the insertion and manipulation of fine, sterile needles into specific points on the body used to cause change within the body by reducing pain, promoting the healing process and further promoting the smooth and correct flow of qi. Further biomedical mechanisms and studies from the NIH can be reviewed here. These points, sometimes referred to as acupoints, are situated along meridian pathways – twelve main and two of eight extra meridians, for a total of fourteen meridians. It is through these meridians or ‘channels’ that qi flows. Herbal medicine is an integral component of traditional Chinese medicine and is often used in conjunction with acupuncture to restore balance. There are hundreds of medicinal substances – primarily plants, but also some minerals and animal products – classified by their perceived action in the body. Different parts of plants such as the leaves, roots, stems, flowers and seeds are combined in formulas and given as teas, capsules, tinctures or powders. Like food, herbs have different thermal properties, actions, directions and uses; however, herbs are much stronger in their actions. The use of herbs with a balanced diet, can often be as effective as pharmaceuticals to treat ailments. It is important to remember that too much of any one substance can create imbalance with in the body, and this is true for herbs as well as food. Foods and herbs that have a particular taste tend to have specific properties that can treat people with certain ailments. The Chinese diet includes all five flavors – pungent, sour, bitter, sweet and salty. Each flavor will support the yin organ for which it corresponds – sweet for Spleen, bitter for Heart, salty for Kidney, sour for Liver and pungent for Lung. These flavors have the ability to change the viscera (zang fu) organ to which they represent. The change, referred to as its action, may be to: disperse, gather, strengthen, soften or retard. An action can also be seen in the form of a direction, such as outward, upward, downward or inward. Acupressure is the stimulation of specific acupuncture points manually, by which the practitioner applies pressure with the fingers, thumbs or elbows. By stimulating certain points, the effects can be similar to that of acupuncture and especially effective in clearing meridians, circulating qi, reducing stagnation, and improving the overall function and balance of yin and yang. Acupressure is just one of the many techniques of tui na bodywork. Others include-tapping, vibration, friction and shaking. These techniques create a response in the body’s energy, used to tonify or sedate the meridian flow to correct imbalance. The understanding of qi (energy) and meridians is essential. Our practitioners are trained to free and alter the flow of energy and blood while relaxing the muscles and manipulating joints. Tui na(meaning push – pull) may also be used to realign skeletal and structural problems. The idea of movement is less about exercise and more about balance. Overly strenuous activity or lack of a movement are both seen as problematic when it comes to good health.Chinese medicine recognizes that lack of exercise leads to stagnation of qi and blood, which can cause several health problems. You don’t have to practice Tai Chi for wellness – any form of movement like yoga or stretching, that supports your body and breath will offer immense health benefits. The practice of Tai Chi (translating as ‘supreme ultimate’) is considered the primary form of movement therapy in Chinese medicine. It is an essential part of well-being. This non-strenuous and low impact exercise focuses on improving the mind-body connection by circulating and improving the flow of qi, helping to establish balance and promoting better health. Tai Chi is practiced while standing and incorporates fluid movements and deep breathing exercises, which help build strength, while increasing flexibility and balance. Also, It has been shown to increase memory, concentration and circulation, as well as reducing anxiety, back pain, and high blood pressure. Moxibustion is an indirect warming technique used to stimulate acupuncture points and promote temperature balance in the body. This treatment facilitates healing by strengthening the blood, stimulating the flow of qi and helping to maintain general health. Moxa, as it is commonly referred, is one of the few treatments used in Chinese medicine with the ability to tonify the body. The use of heat from a burning moxa cone or stick (made of the dried herb mugwort) warms the skin at an acupuncture point and is intended to stimulate the flow of qi. The herb is found in different forms ranging from powdered, cone-shaped and many times solidified as a stick shaped into a cigar-like roll. Moxa is applied directly or indirectly to the skin’s surface and mainly used on people with stagnant and cold conditions. Another form of indirect moxibustion uses both acupuncture needles and moxa. A needle is inserted into an acupoint and retained. The tip of the needle is then wrapped in moxa and ignited, generating heat to the point and the surrounding area. Acu-Moxa therapy has a long history of practice and together have complemented each other well through out the centuries. Although moxa has been used in Chinese Medicine for centuries it is not indicated for all individuals. The smoke from burning moxa may cause irritation to patients with respiratory conditions, sensitivity to smoke or strong aversion to pungent smells. Simple deep breathing exercises relax muscles, calm the nervous system, reduce pain and anxiety, and encourage proper digestion. By focusing on breathwork and learning to control it through coordination and practice, it promotes better health. A simple trick to check if you are breathing deeply is to put your hand on your belly and breathe all the way into your abdomen, and allow your hand to raise as the belly fills with breath. Then, keep inhaling to fill up your lungs before you take a long, slow exhale. Both Qigong and Yoga are excellent practices to help develop deep breathing techniques. Qigong (meaning “Life energy cultivation”) is a practice of aligning breath, movement and awareness for exercise, healing, and meditation to cultivate balance. A qigong practice typically involves reaching a calm mindful state while breathing rhythmically, coordinated with slow repetition of fluid movement. Feng Shui (pronounced fung shway) meaning wind (feng) and water (shui) examines how the placement of objects in an environment affect the energy flow and how these objects interact with and influence your personal energy flow. More simply, it is the interaction of humans and their environments. Historically, feng shui was used to orient buildings, structures, homes and even tombs to create a more auspicious environment. The concepts of feng shui are not much different than those used in acupuncture to move, unblock and promote qi with in the body. The main tools used in feng shui analysis are the Bagua and the magnetic compass. Cures or environmental changes sometimes include items such as mirrors, fountains, crystals, coins, and the use of certain colors. When a home or environment of any kind is in good harmony or balance, it is believed that luck, fortune and good health will follow. You can achieve feng shui by positioning or designing your surroundings in harmony with principles of natural energy flow to create comfort and balance in your space. Feng shui has become increasingly popular in the Western world, but in that popularization much of the original knowledge and history has been lost in translation. Sometimes seen as just another form of interior decorating, this skilled practice is quite the opposite. The practice of feng shui is very diverse and there are many different techniques, perspectives and schools of thought.